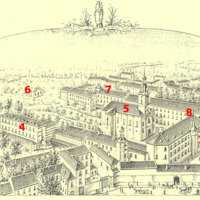 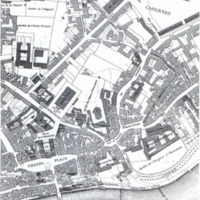 Sketching of the SNDdeN convent and schools in Namur in 1880. 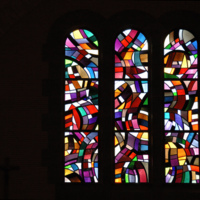 Stained glass window at the chapel in Namur. 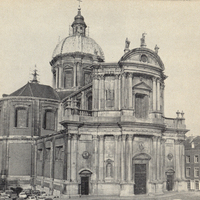 Exterior view of the front of the chapel in Namur. 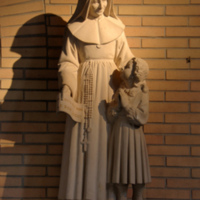 Statue of St Julie with a student located in the chapel in Namur. 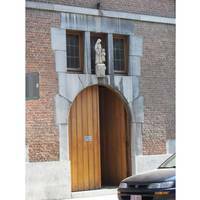 A view of the front doors at St Bernard in Namur. 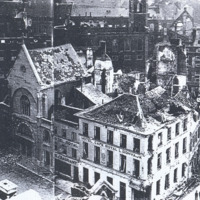 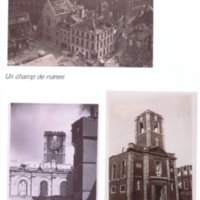 Photograph of the ruins to the buildings of the Mother House and surrounding buildings from bombings in World War II. 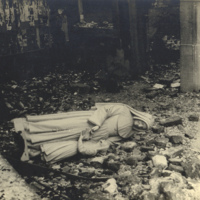 Photograph of the after-effects of the bombings in Namur during World War II. 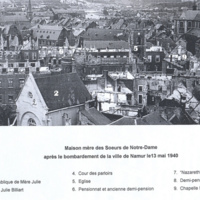 Three photos showing the effects of bombing on the city of Namur during World War II. 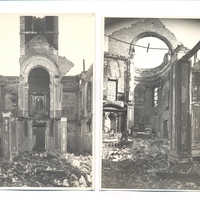 Interior destruction of the church in Namur due to the bombings during World War II. 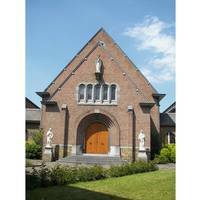 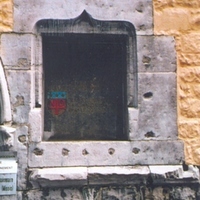 Public entrance to the chapel. 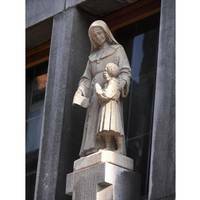 Statue of St Julie viewed from the exterior of the public chapel in Namur. 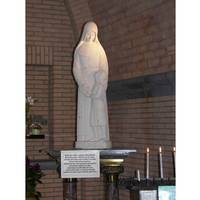 Statue of St Julie viewed from the interior of the public chapel in Namur. 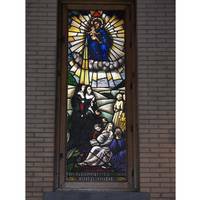 Stained glass window of St Julie in the public chapel in Namur. 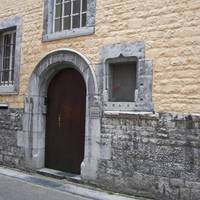 An exterior view of St Aubain Cathedral in Namur. 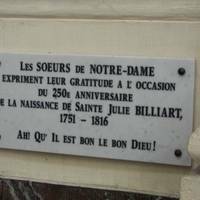 An inscription identifying the first house of the Sisters in Namur. 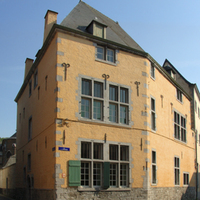 Exterior view of the first house of the Sisters in Namur. 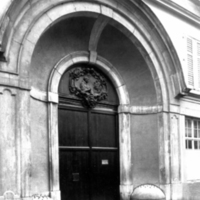 Entrance to the first house of the Sisters in Namur.